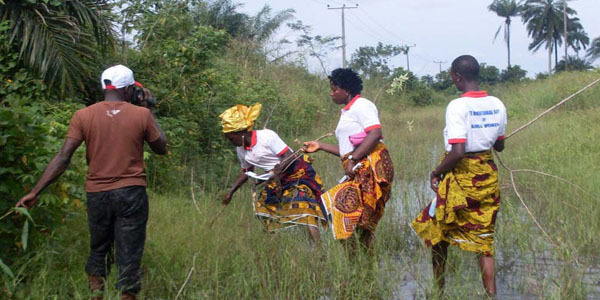 LAGOS, Aug 2 2015 (IPS) – Nigeria seems in no haste to unveil its climate pledge with just four months to go before the U.N. Climate Conference scheduled for December in Paris. However, unlike Gabon, Morocco, Ethiopia and Kenya – the only African nations yet to submit their commitments – Nigeria has just commissioned a committee of experts to draw up targets and responses for its “intended nationally determined contributions” (INDCs). INDCS are the post-2020 climate actions that countries say they will take under a new international agreement to be reached at the U.N. Framework Convention on Climate Change (UNFCCC) Conference of the Parties (COP21) in Paris, and to be submitted to the United Nations by September. Jihadist camps made up of nearly 1,500 children as young as nine have been uncovered in central Africa, according to reports received by a leading Catholic charity at work in the region. Sources close to Aid to the Church in Need – who cannot be named for security reasons – stated that poverty-stricken youngsters are being lured off the streets of the Democratic Republic of Congo and taken to remote camps where they are being brutalised and indoctrinated by Islamist militia. Boys, spread across at least three camps in the Ruwenzori Mountains of eastern DRC, were sighted in camouflage kit doing military exercises watched over by soldiers with guns. The reports describe up to 60 girls huddled together in the camps wearing burkhas, being prepared for marriage to Islamic fighters. One of the camps is in Medina, about 50 miles from Beni city in the region of which nearly 500 people have been killed in a string of massacres which have taken place since October. 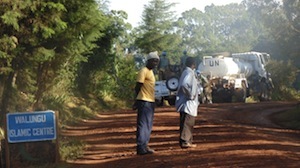 The sudden emergence of the jihadist camps is being linked by the ACN sources to UN peace keeping forces with concerns that they are complicit in the camps and that they are intentionally failing to take action against them. It is alleged that some members of the Mission of the United Nations Organisation for the Stabilization of DR Congo are fundamentalist Muslims from Pakistan who in their spare time in the African country are setting up Quranic schools and working on mosque construction sites. The ACN contacts have claimed that the mosques have been built in areas where virtually no Muslims were living. According to the 2014 Journal of International Organisations Studies, 28 of the 44 mosques (63 percent) in the Medina region of DRC were erected between 2005 and 2012. Reports have stated that within a few years Muslim numbers in eastern DRC have risen from one percent to 10 percent. The Catholic bishops of the ecclesiastical province of Bukavu, in eastern DRC, sent an open letter last May to the country’s President, the UN and international leaders denouncing an upsurge of jihadist fundamentalism in a region traditionally dominated by Christianity and where there have been very few Muslims until now. Local police are also investigating death threats against Palmer, whose location is not known. Because many of the threats were online, police are having difficulty determining their origins and credibility. “Are you saying that all this noise is about a dead lion? Lions are killed all the time in this country,” said Tryphina Kaseke, a used-clothes hawker on the streets of Harare. 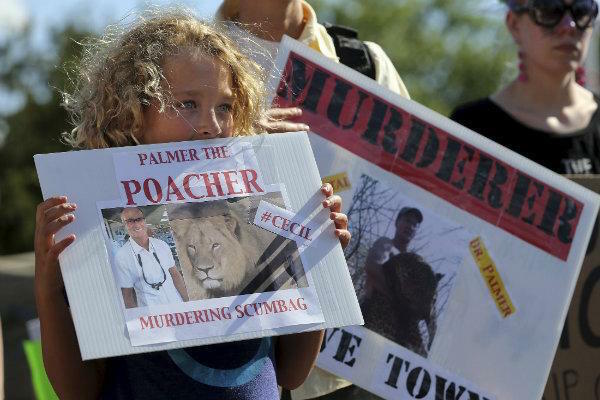 The world of Palmer, who paid $50,000 (Sh5.1 million) to kill 13-year-old Cecil, is a very different one from that inhabited by millions of rural Africans who are more than occasionally victims of wild animal attacks. According to CrocBITE, a database, from January 2008 to October 2013, there were more than 460 recorded attacks by Nile crocodiles, most of them fatal. That tally is almost certainly a massive underrepresentation. “Why are the Americans more concerned than us?” said Joseph Mabuwa, a 33-year-old father-of-two cleaning his car in the centre of the capital. 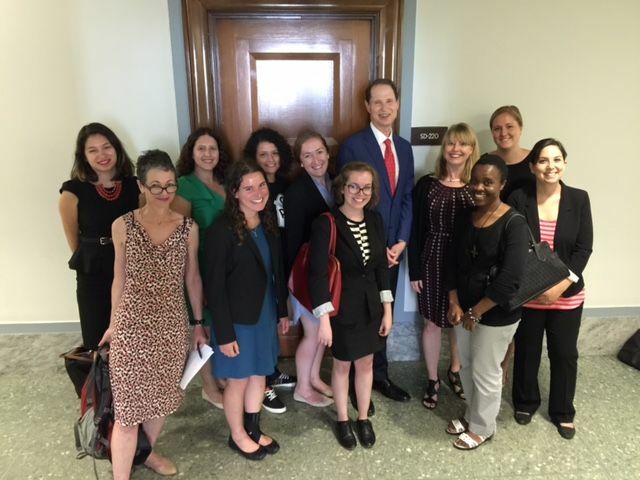 The picture below was taken on Thursday, 30th July with Ron Wyden, the Oregon senator. With many Hill visits to him and some others, he co-sponsored the Healthy Families Act Bill on Thursday and invited us to take picture with him. Healthy Families Act gives over 40 million American workers access to paid sick day leave to care for their health or the health of family members, thus freeing them from facing the impossible choice of caring for their health or keeping their paycheck or job. The bill would give workers access to earn paid sick day and paid sick time to care for a sick child or family member. For the coalition’s effort, since March, we have been able to secure 29 senators and 122 representatives as co-sponsors of the bill. Hopefully, the bill which came to the floor in 2013, but did not have enough support, will be re-introduced soon with stronger support.